This is an Open Edition Print700mm x 500mm Anna Sewell's tale is not just a well-loved advent.. This is an Open Edition PrintThe enchanting tale of Charlie Bucket and his visit to Willie Won.. This is an Open Edition Print 700mm x 500mm Moomin, the Snork Maiden, Snufkin and.. This is an Open Edition PrintRoald Dahl's first children's book was published in 1961 and beca.. 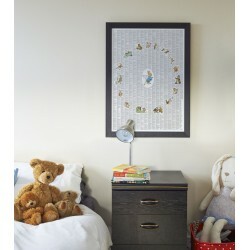 This is an Open Edition PrintThe young "reader of books" at the heart of this charming tale is.. This is an Open Edition Print1000mm x 700mm J.M. Barrie's classic story of the boy who never .. This is an Open Edition Print 1000mm x 700mm Orphaned, displaced, lost among a hu.. This is an Open Edition Print 700mm x 1000mm Kenneth Grahame's classic ta.. This is an Open Edition Print700mm x 500mmDorothy's magical journey to the Emerald City is.. This is an Open Edition Print 1000mm x 700mm Susan Coolidge's wonderful tale .. This is an Open Edition Print 500mm x 700mm Edward Packard invented the second-pe..